Gaska Hi Bond Adhesive System (GHB®) consists of a solid adhesive mass high performance acrylic adhesive. This adhesive system provides excellent long term holding power. The tape conforms to a wide variety of substrates providing a superior bond. GHB® tapes are well suited for interior and exterior applications and in many instances can replace rivets, screws, welds and liquid adhesives. GHB® tapes are recommended in “laminated glass” systems. 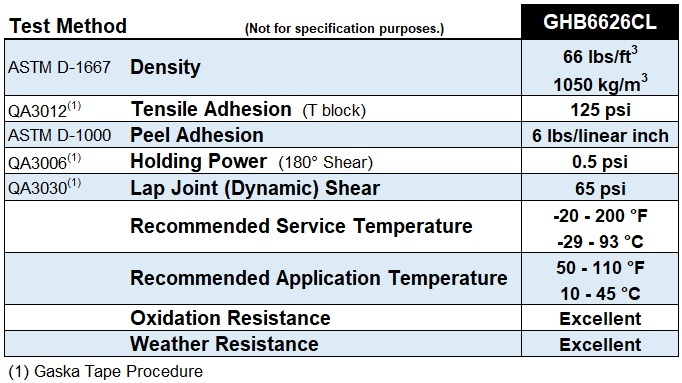 GHB® tapes will bond to most dry, clean, oil free surfaces and provide bond strengths along with dynamic shear that is significantly higher than typical pressure sensitive tapes. Designed specifically where an invisible tape is desired. Provides almost see through look. 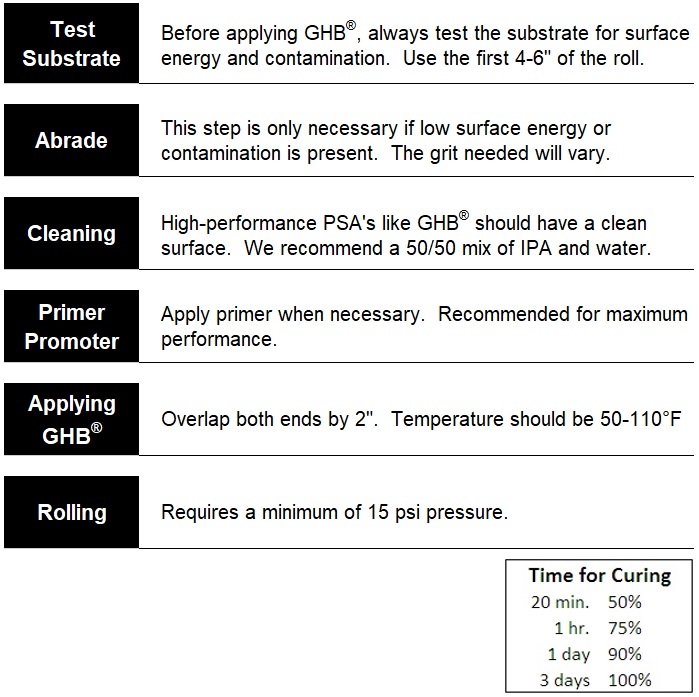 NOTES: Substrate surfaces must be clean and dry to ensure a good bond. The use of a primer to clean and properly prepare the surface is recommended before using the GHB6626CL product.